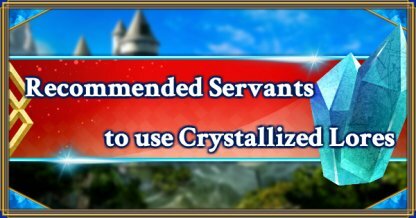 Here we will introduce the standards for using Crystallized Lores as well as the servants recommened to use them on. This topic is for you if you havn’t made up your mind on which skill to use the Crystallized Lore. Who should you use the first obtained Crystallized Lore on? It is recommended to use Crystallized Lores on skills of NP gauge charge. It is especially so if raising the skill level from 9 to 10 would make sufficient NP gauge for farming. Also note that skills that do not change its charging amount would have lower priority. Reducing the skill CT enables mutiple usage of skills in a single battle and the turn in which you receive the skill effects becomes longer. It is strongly recommended if you want to use skills multiple times in the battle or if you want to continuously receive the effect. Supporters are usually composed in decks regardless of their class, therefore used frequently. Especially those with “Avoidance of effect on all”, “Invincibility” or “Increased defense” are frequently used. Supporters should have the priority if your goal is to complete the hot spots of the story or the high difficulties without any C.Spell. Apply Debuff which is a probability based skill can land on an opponent without any resistance to Debuff by raising the skill level to 10. Those that have 100% success rate of blocking the opponent’s NP with Decrease Charge or Apply Stun directly affect the operation. Stronger the opponent is, more useful it is. From 9⇒10, NP gauge charge increases from 26% to 30%. Craft Essences with only 50% NP gauge can use NP instantly by Apply 20% NP gauge. From 9⇒10, NP gauge charge increases from 28% to 30%. From 9⇒10, skill CT is reduced down to 5. You can make the turn in which you are receiving the effect longer than the turn you are not receiving by making 3T skill with minimum of CT5. Raising the skill level largely upgrades the effect of increased NP gauge obtained, and it becomes a NP gauge charge skill in a practical sense by using it in combination with the Arts of its own. From 9⇒10, it becomes Apply 20% NP Gauge. Apply Invincibility is also important as it directly affects the survivablity of the whole party. You can make the turn longer in which you are receiving the effect by making 3T skill with minimum of CT5. Survivablity of the whole party is directly affected since it is a target concentration with Increased Defense. From 9⇒10, the number of C.Stars obtained increases from 44 to 50. It becomes possible to get criticals with 100% success rate. It is a countermeasurement against the opponent’s NP and the skill CT of “Apply Evade for all allies” down to 6 for one time. Usable since the first ascension, a superior skill that CT has 1 less turn than Merlin’s Grant All Invincibility. Used very frequently. Often times used as a friend slot and earns you friend points if you level it up. NP of Arash has not only a very high damage, but also an ability to make his state “unable to fight” by himself so that it is easy to switch with the next servant, making it a good candidate for farming. Since it is easy to grant 20% NP by support skills, just the 50% NP Charge from the event Craft Essence makes it easier to use instant NP. Spartacus is an omni-NP berserker of which attack has advantage over almost all classes, making it suitable for farming. Since it is easy to grant 20% NP by support skills, just the 50% NP Charge from the event Craft Essence makes it easier to use instant NP. 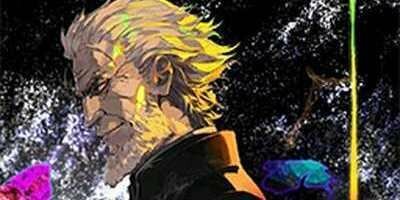 Once you don’t have to struggle with the easy farming, Matthew is the recommended piece which is frequently utilized at difficult points of the story or in the high difficulty quests. Similarily to ★1, it uses very little skill materials or QP consumption and grants you great effects at low cost. At first, skill 1 is our recommendation for the purpose of reducing the CT. If you have more than one of “The Imaginary Element” with max limit break or Kaleidoscope. NP Charge Skill of Arash or Spartacus can use instant NP without leveling to 10. Lvl 10 is a huge merit although having multiples, but the priority would still go down. Servants with NP Charge Skill of 30%〜50%, although mostly limited to ★5Servants”, can use instant NP at ease since level 1. Although there are advantages regardless of classes such as ★1 Arash or Spartatcus leaving due to being unable to fight, the priority can be somewhat lowered.